As we kiss goodbye to those long summer nights and dig out our umbrellas, we are greeting autumn/winter with added style, and Cortonwood Shopping Park has all the ranges you need! It’s time to wrap up warm and prepare for snuggly nights in front of the fire and weekends out at seasonal gatherings. M&S has a plentiful selection of autumn must-have looks to keep you feeling cosy whilst looking the part. 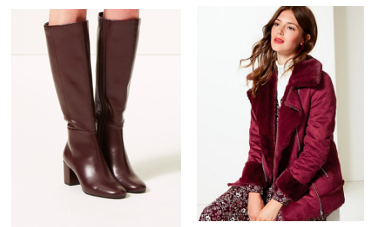 Key pieces include faux shearling jackets and boots to brave the winter, which are all available in store now. With our outfits sorted to brace the blizzards and the harsh outdoor breeze, why wait for comfort to come to you? Brighten up your wardrobe with a whole rainbow of knitted jumpers from Cortonwood’s New Look or River Island stores, perfect lounging around with a cup of tea on those winter mornings! 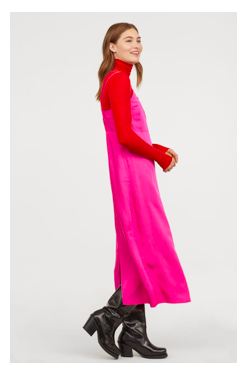 The slip dress is IN this season, which you can find in H&M! Layer thin tops under this versatile number to keep the heat in when you’re out in the snow. For evening glam, swap your knitwear for a belted blazer for a chic after-dark look. And if you happen to be climbing a mountain on a day with a white blanket snow coverage, don’t hinder your adventure with the wrong footwear. 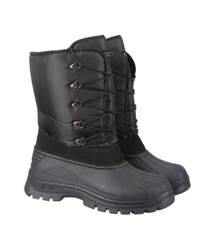 Mountain Warehouse is your first-stop shop for a whole range of fantastic boots made for winter walks.